Federal Court Grants Plaintiff’s Motion for Summary Judgment to Enforce Judgment Obtained in Luxembourg. Certified translations of foreign documents that have gone through an Apostille, attestation, authentication, certification and embassy legalization are often required in the practice of law. 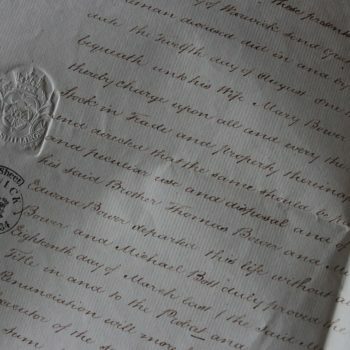 “Apostille,” the French word for “certification,” originated from the 1961 Hague Convention and is a certificate as to the authenticity of an official document. 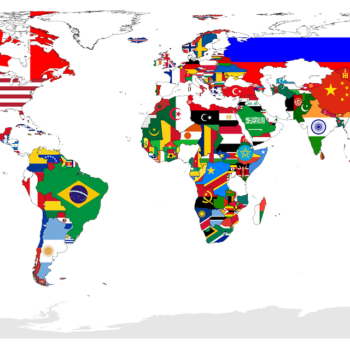 An apostille allows countries to understand and exchange certain public documents regardless of their official languages. In the case below, an apostille was used to authenticate a money judgment by a foreign court. In Moersch v. Zahedi, a citizen of Luxembourg filed an action against a California resident in federal court pursuant to the Uniform Foreign Country Money Judgments Recognition Act (“Uniform Act”), which provides rules and procedures regarding the recognition of judgments in foreign countries. The plaintiff sought $413,075 in damages, which was the equivalent of 310,000 euros at the time. Plaintiff Obtains Judgment in Luxembourg. The dispute arose out of a business relationship. Prior to the lawsuit, the parties worked as dentists together in a private practice in Luxembourg. Interestingly, Luxembourg has thee official languages: Luxembourgish (also known as: Luxemburgish or Letzeburgesch), French, German. It is, therefore, likely that this case generated a need for German to English certified translations of Luxembourg court documents, or French to English certified translation of the court documents. In 2002, the parties signed a partnership agreement whereby they agreed to disclose all the patients they treated to each other. Some years later, the plaintiff filed a civil lawsuit in Luxembourg to terminate the parties’ agreement and for damages related to the defendant’s alleged breach of thee partnership agreement. However, in 2009, a Luxembourg court, “La Court Superieure de Justice,” entered a judgment against the plaintiff and in favor of the defendant. The plaintiff appealed, and in 2012, the Luxembourg Court of Appeal reversed this decision and entered judgment in the plaintiff’s favor. Specifically, the Court of Appeal ruled that the defendant was treating patients without the defendant’s knowledge and was essentially “poaching” other patients. In doing so, the Court of Appeal ordered the defendant to pay 300,000 euros plus an additional 10,000 euros according to a penalty clause in the agreement. It also terminated the parties’ partnership agreement. The Defendant Contests Plaintiff’s Lawsuit But Lacks Evidence. Plaintiff subsequently sought to enforce the judgment against the defendant, a California citizen, in California federal court. In response to the plaintiff’s lawsuit, the defendant argued that the court should either deny or defer considering the lawsuit pursuant to Federal Rule of Civil Procedure 56(d) in order to allow the defense an opportunity to conduct discovery. However, the defendant failed to provide any explanation as to why he needed more time to present a defense. The defendant also alleged that summary judgment should not be granted because he obtained a judgment in his favor from a court in Luxembourg in 2005 that was contradictory to the 2012 judgment. Finally, the defendant claimed that his due process rights were violated because he did not receive proper notice of the Luxembourg proceedings. The Court Recognizes Luxembourg Judgment Authenticated by an Apostille. Turning to the plaintiff’s claims, the court held that plaintiff had met the burden of establishing that he was entitled to have the judgment recognized pursuant to the Act. Specifically, the court explained that the plaintiff had presented evidence in the form of a judgment in his favor from the Luxembourg Court of Appeal and that the judgment had been authenticated by an apostille certifying its authenticity pursuant to the Hague Convention of 1961. The Hague Convention is in force in both the United States and in Luxembourg. In rejecting the defendant’s arguments, the court held that the defendant had failed to present a single reason as to why he has not been able to procure any evidence despite the fact that the case had been pending for close to a year. With regard to the alleged 2005 judgment, the defendant failed to provide a copy of the judgment to the court or otherwise explained why he was unable to acquire a copy of the judgment. As to the defendant’s claim that he did not receive proper notice of the Luxembourg lawsuit, the evidence demonstrated that the defendant was, in fact, represented by a Luxembourg attorney and even appeared in court to defendant the claim. Based on the foregoing, the district court granted the plaintiff’s motion for summary judgment, finding that there was no dispute of material fact and that the plaintiff had satisfied the burden of establishing that the Uniform Act applied to the Luxembourg judgment. The case is Moersch v. Zahedi, Case No. SACV-16-00151-CJC, decided on January 13, 2017 by the U.S. District Court, C.D. of California, Southern Division. Get in touch with All Language Alliance, Inc. to obtain certified translation of foreign documents bearing an Apostille from any foreign language, including French, German, Luxembourgish,Traditional Chinese, Croatian, Spanish, Greek, Japanese to English. **This law translations blog article should not be construed as legal advice. You should always consult an attorney regarding your specific legal needs. French Translation of Marriage Documents Read It! Legal Translation to the EU Languages Read It! Legal Translation of Power of Attorney (POA) Read It! Certified Translations for Dual Citizenship Read It!